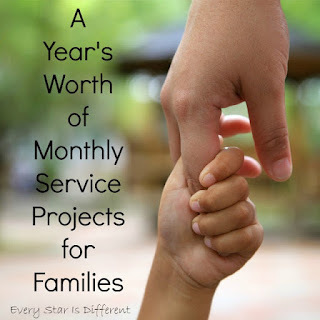 This school year, our family has set a goal to do one service project a month. Since we homeschool year round, this means 12 Months of Family Service Projects. I am so excited about this new goal. Service is such a great way to stop thinking about one's self, circumstances, and challenges. It's a great way to develop gratitude. When children participate in service projects they start to become more aware of the needs of those around them. 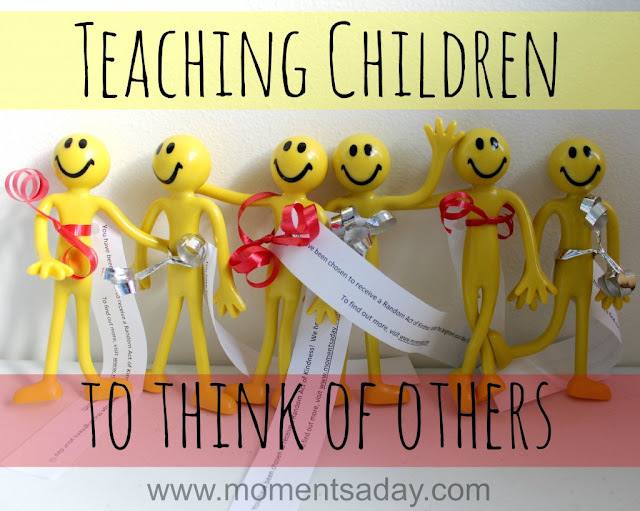 They learn more about loving others and the importance of kindness. For my special needs kiddos, it's a great way to help them get out of their own heads and spaces to socialize with others in positive ways. It's my hope that if I can teach them to serve others, they're more apt to be aware of the needs of others around them when they're older. It will be just something we do, without effort. 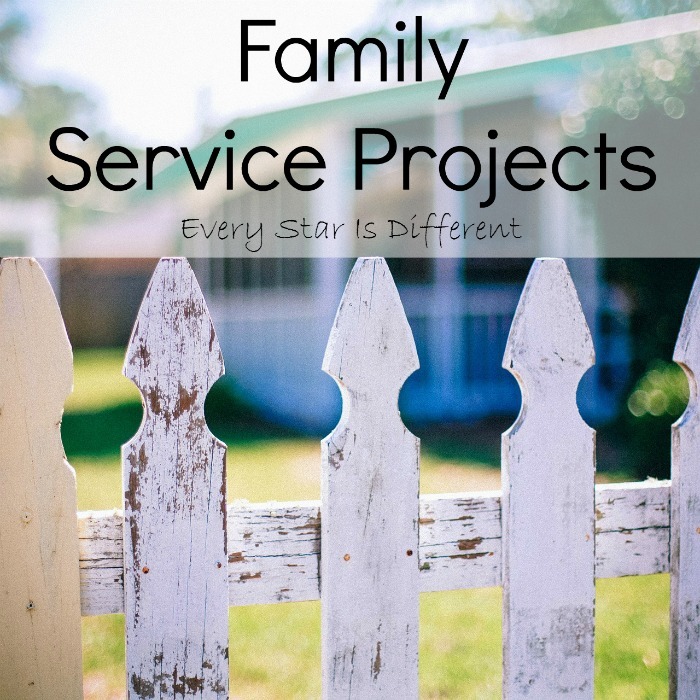 Choosing service projects that would work for our family was quite a challenge. 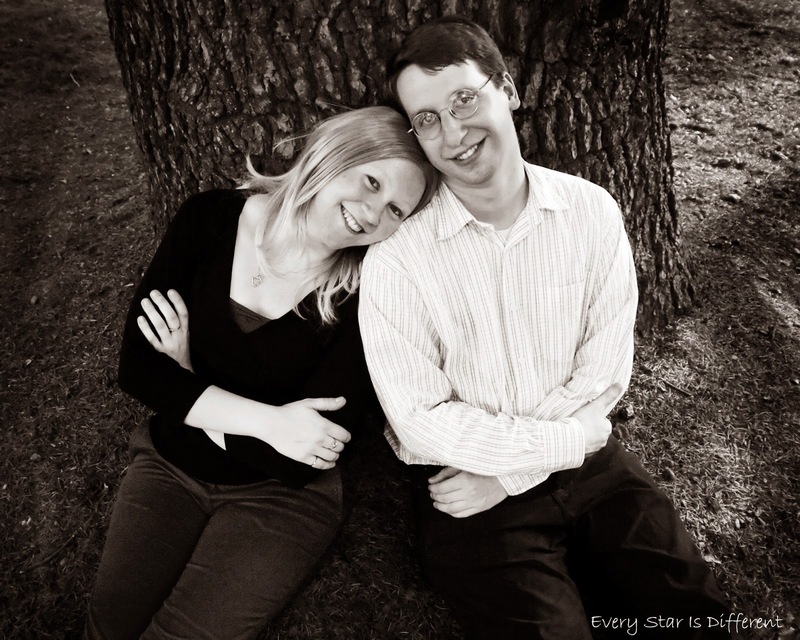 I enlisted the help of my fellow bloggers to come up with the perfect list. Let me just say, it's fantastic! We will be helping so many others this year in so many different ways. Some of the projects will require us to enlist the help of friends, neighbors, and extended family, which I'm thrilled about. I'm hoping others will be excited to join us in our effort to really make a difference. Here's what we're going to attempt! Our family will hand out flyers as we go for one of our afternoon walks. 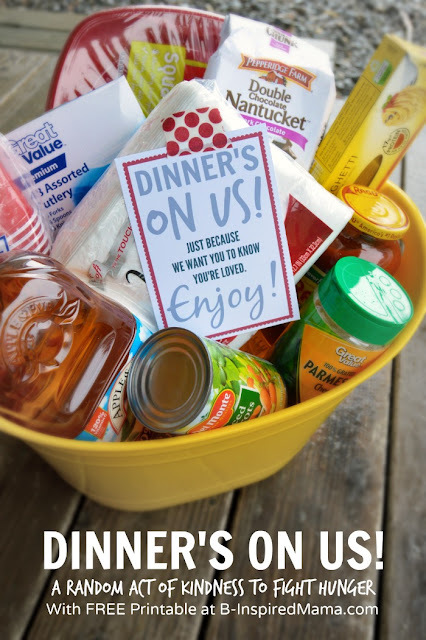 Then on the selected date, we'll collect nonperishable goods. I'm a little nervous about how many neighbors will participate, but I'm hoping our efforts will be successful. 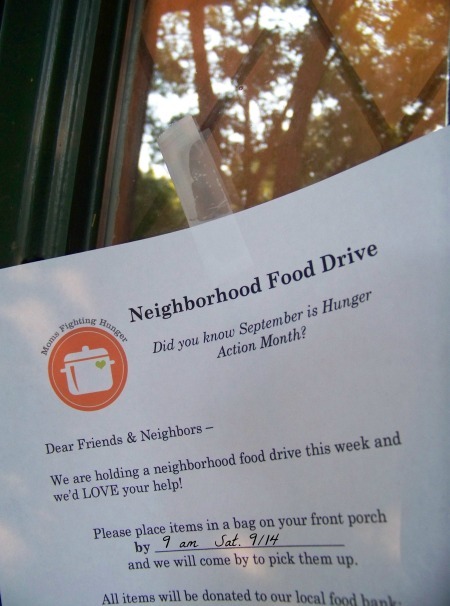 We'll then deliver the food to a local food pantry. Police officers are not always looked upon in the most loving ways. I thought it would be great for our family to show those who serve and protect us, just how grateful we are. 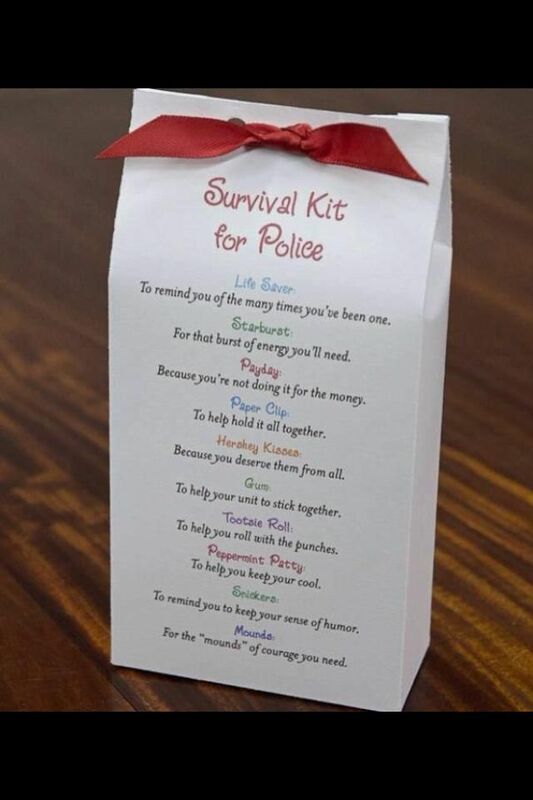 This is such a simple and adorable idea. All of the items are candy, so what's not to like? 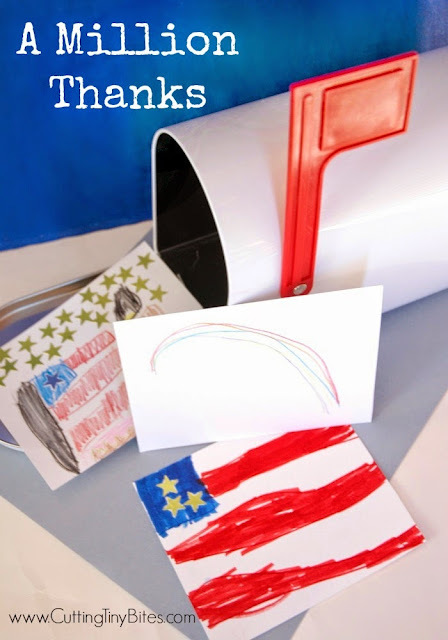 In honor of Veteran's Day, I thought we'd write letters to soldiers. I'm a bit nervous about this activity just because I know how much the kiddos dislike writing. Hopefully they'll go along with it if presented well, especially if they can draw and color pictures. This is not a new service project for us. It's one we do every year. The kiddos LOVE spending a week baking and then delivering yummy treats to all the neighbors and select community helpers. 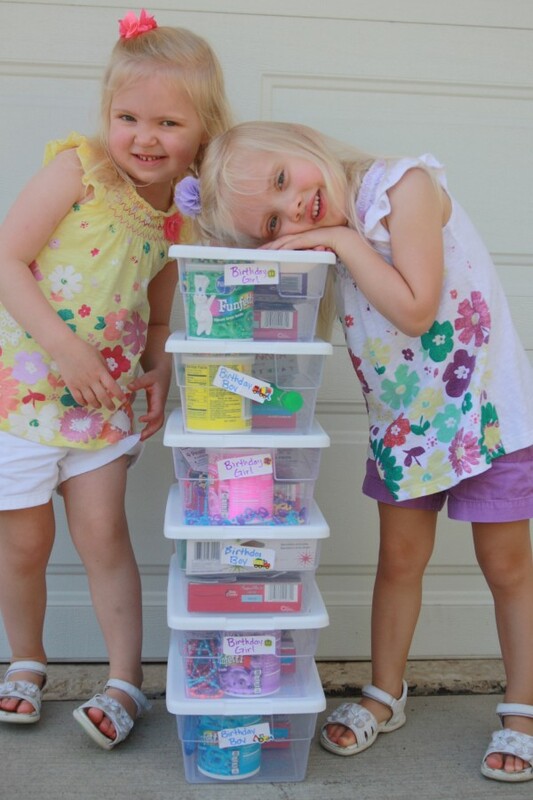 The idea of birthday boxes is so brilliant and kid friendly. I know my kiddos will LOVE putting the boxes together, personalizing each one. It's the perfect project for the start of a new year. We may invite others to participate in this project with us. We may not use the exact smiley face figures used in this post, but the idea will be the same. This project will work perfect around Valentine's Day, especially for those who are feeling a little unloved. 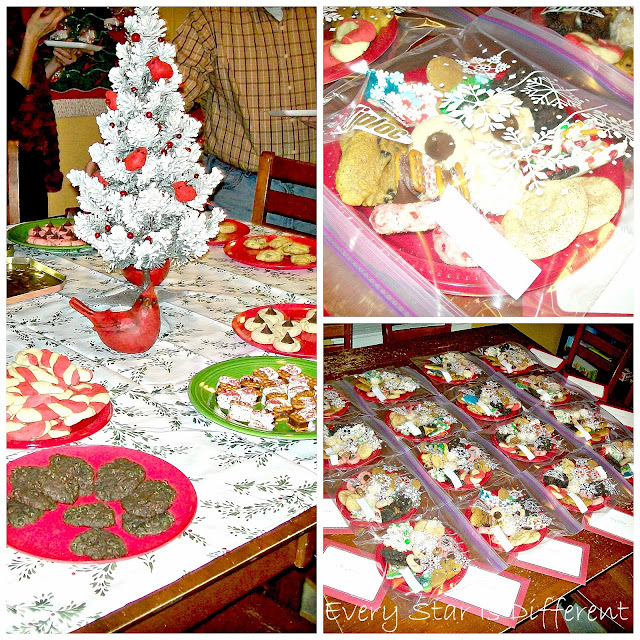 My kiddos love meal planning, grocery shopping, and anything that has to do with desserts. Why not share their favorite things with others who need them? I'm not sure how many dinner baskets we'll make, but no matter how many, it will still be a ton of fun! 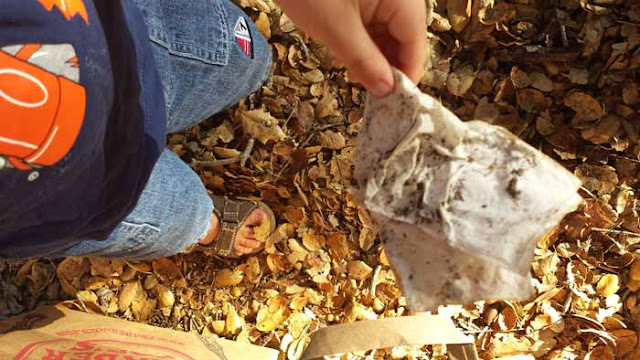 Each day one of the kiddos has the chore of picking up litter in our front yard. I'm always amazed by how much litter is out there. In April, in honor of Earth Day, we'll expand beyond our front yard and see just how beautiful we can help our neighborhood become. I LOVE the book Miss Rumphius! When I saw this idea, I just knew we had to do it. Who doesn't like to be surprised by a flower gently placed somewhere they're sure to see? Though we won't see the smiles of those who find the flowers, I know that the service project will be successful. When I read about this service opportunity, I cried. Tears would not stop streaming down my cheeks. As a family who did foster care and respite for 4 years, we know first hand what those first nights away from home are like for little ones in care. The same is true of those in shelters. This project is a BIG undertaking. We will most definitely be asking others to help, so that we can create as many bags as possible. Even though it may cost a little more than other service projects we've selected, I know the kiddos will have so much fun putting the bags together, picking out books, blankets, and stuffed animals. It's as kid friendly as it gets! A year's worth of service projects wouldn't be complete without including service for animals. We always seem to have an abundance of stained clothes that are too small. Why not recycle them and turn them into the perfect toy for dogs in local shelters? I'm excited to teach the kiddos how to braid in the process. This week has been EXTREMELY hot. There have been so many times when an ice cold drink would be the perfect remedy. 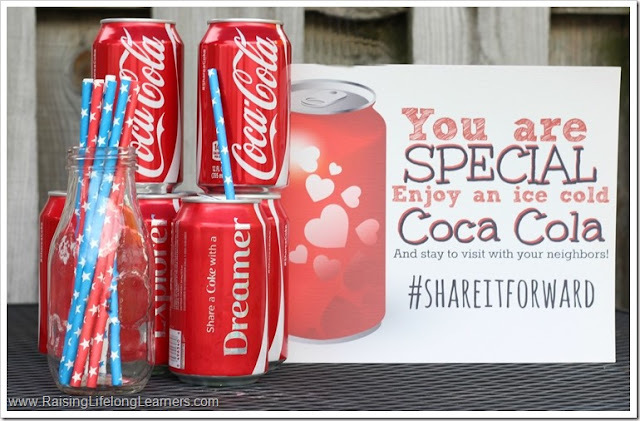 We probably won't be handing out Coca Cola, but cans of ice cold lemonade will be perfect! 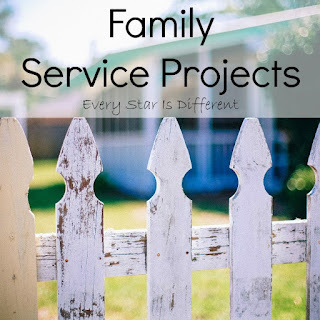 This service project is so simple, yet such a great idea in the summer heat! I can't wait to get started on all of our service plans for the year! It should be an amazing experience for our entire family that will be with us for years to come. If it's as successful as I think it will be, I'm guessing we'll be doing this for years to come. Service is a subject that is so near and dear to my heart! I would love to hear about other ways your family has served others around you! If you enjoyed this most, you may also enjoy the posts below. Fantastic ideas! Good luck, and thanks for the inspiration. What a great idea. I love this idea so much! Great ideas! What a great list! 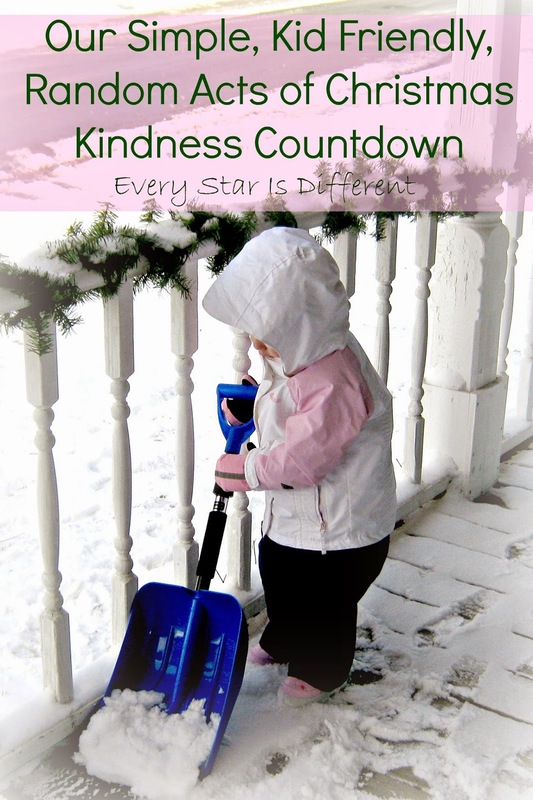 Thank you for featuring Vibrant Homeschooling's 30 Days of Kindness series in this post. 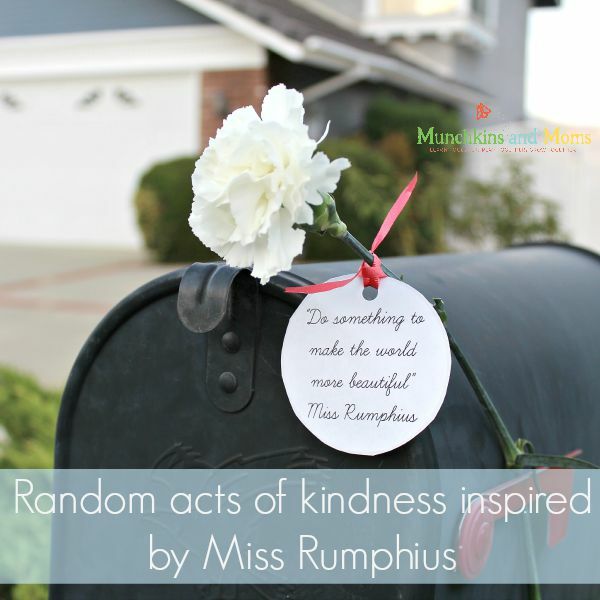 I pray that you are blessed and inspired as you complete all your acts of kindness! It was a wonderful experience for our family. This is such a great idea! As a fellow homeschooling Mama, I know how important it is to have a plan in place (at least it is for me, or things get overlooked). 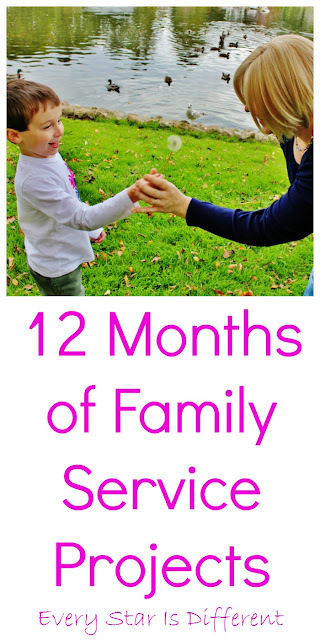 I love that you didn't just say "We're going to do service every month." But you have a specific plan for the activities and when you'll accomplish them. Genius! These are wonderful! What a great goal to help others all through the year! I love this idea. These are so accessible. Thanks for posting. Hello from Motivation Monday. Featuring you on Natural Beach Living. I love all of these Great ideas! 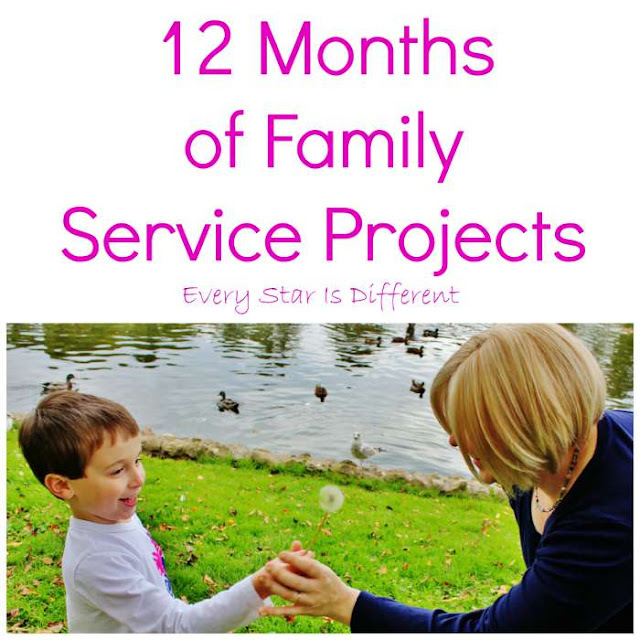 Thank you for all these lovely family service ideas! 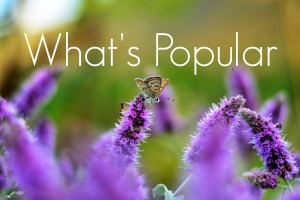 You have been featured on Mama's Happy Hive blog at "The Little Bird Told Me" link party!